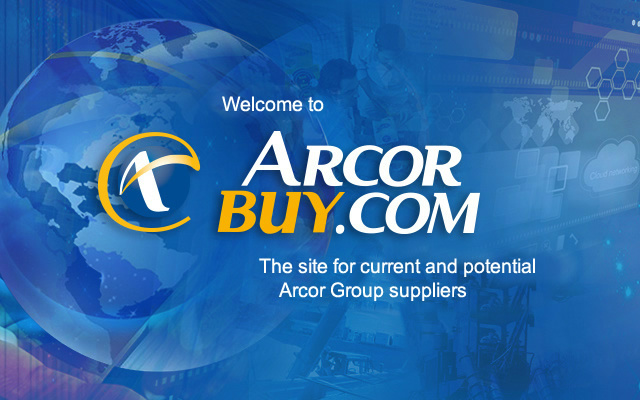 This site is addressed to current and potential suppliers and to all those interested in participating actively in Arcor Group by sharing experiences and cooperating in the construction of a sustainable development model which may praise not only economic growth, but also the generation of social and environmental values. In such site, you may access to purchase orders and payment consultations. You may also get informed about all the plans and projects so as to be able to offer your products and /or services. You may also get to know about the latest news on the supply and procurement area. SDG 8: Decent Work and Economic Growth. Companies must create the conditions that allow people to access quality jobs that stimulate the economy while not harming the environment. (http://www.un.org/sustainabledevelopment/es/economic-growth/). "The holder of personal data has the faculty of exercising the right to access of such in a free way at intervals , not lower to six months, unless a legitimate interest is credited to such effect conforming to what was established in article 14, subsection 3 of Law Nº 25.326.”. “THE NATIONAL BUREAU OF PERSONAL DATA PROTECTION, law Nº 25326 control entity has the right to assist the denounces and claims which may interpose in relation with the compliance of the norms as regards the protection of personal data".